Leonardo noted another milestone in the certification process of its TH-119 single-engine helicopter with the first ‘power on’ of the new Genesys Aerosystems avionics. The TH-119, according to Leonardo, is expected to perform its maiden flight this fall, with the goal of reaching FAA certification in the first quarter of 2019. 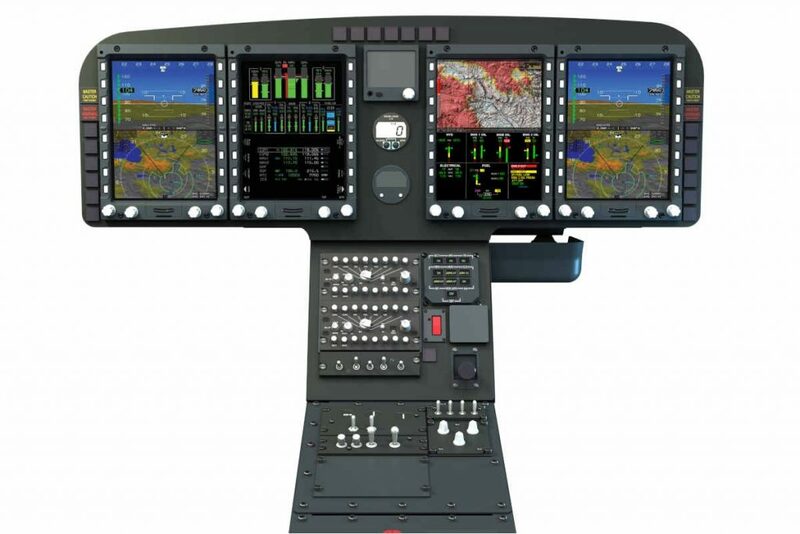 The all-new avionics and cockpit for the TH-119, which allows for unique IFR operations, is being integrated at Leonardo’s Philadelphia facility, home to the AW119 single-engine final assembly line for the United States and global markets. The TH-119 will also be built on the company’s existing manufacturing line in Philadelphia. A dedicated variant of the AW119 commercial helicopter, the TH-119 is specifically designed for military training customers, primarily to meet the U.S. Navy requirements. The AW119, which is in operation with a range of customers, such as armed forces and public service agencies, now has total orders for nearly 320 units. ”This event marks a major step forward in the integration of the all new avionics into the only IFR operations-capable, single-engine helicopter, as we get close to more extensive ground and flight testing activities towards FAA certification early next year,” said William Hunt, CEO, AgustaWestland Philadelphia Corp. The TH-119 maintains redundancies on several key systems, explains Leonardo, and high power margin based on its Pratt & Whitney Canada PT6-B engine. The Genesys Aerosystems cockpit provides the flexibility to instruct from either seat. The TH-119 is the only full-spectrum training helicopter, explains the company, meaning that, with a single variant, single configuration of the helicopter, the operator can accomplish basic VFR training flights (hovering, full auto-rotations) equally as well as advanced training flights (NVG, Instruments, Tactics, Hoist, cargo hook, shipboard landings). Leonardo states this capability makes the TH-119 a single-engine solution for training in demanding weather and low-visibility conditions. The new aircraft also features a cabin configuration with an additional 180-degree adjustable trainer observation seat at the base of the instrument panel, giving the occupant a full view of the cockpit. It also includes a Full Night Vision Device (NVD) compatible cockpit, a cabin with high-visibility cockpit doors, and a low-profile instrument panel for high cockpit visibility. The TH-119 features re-enforced skids with replaceable skid shoes, which support the multiple repetitions of essential touchdown training maneuvers, as well as cargo hook and hoist options supporting advanced training events. The aircraft can also include a five-fuel cell option that provides more than five hours of flight time with a pressure refueling port, allowing for less downtime to refuel as well as hot refueling as the engine is running.